Buffalograss is increasingly popular as a low-maintenance landscape turf. It turns green several weeks after Kentucky blue grass in spring and stays green all summer with little or no care. At the first killing frost, it goes dormant and turns a lovely shade of buff until it breaks dormancy in the spring. It has thrived on the Great Plains for centuries because it is adapted to the soils and rainfall of the region. The new turf-type varieties retain the low-maintenance character of this grass but have a denser mat and a darker, green color. The key to good buffalograss turf is thorough eradication of weeds before planting. Seeding should be done in late spring when the soil is warm, at least 60 degrees. The seedbed should be free of weeds and firm with enough loose soil to cover the seeds 1/4 to 1/2 inches deep. Pack well after planting. Keep seed moist during the germination stage and water as needed until plants mature. Plantings may be done throughout the summer but not in the fall as the plants need time to establish a good root system before frost. Little water is needed to maintain buffalograss. During prolonged dry spells, watering will help maintain the desired color. Fertilizer is optional and also helps the turf stay green longer. Its short growth habit requires little mowing, perhaps two or three cutting a season. 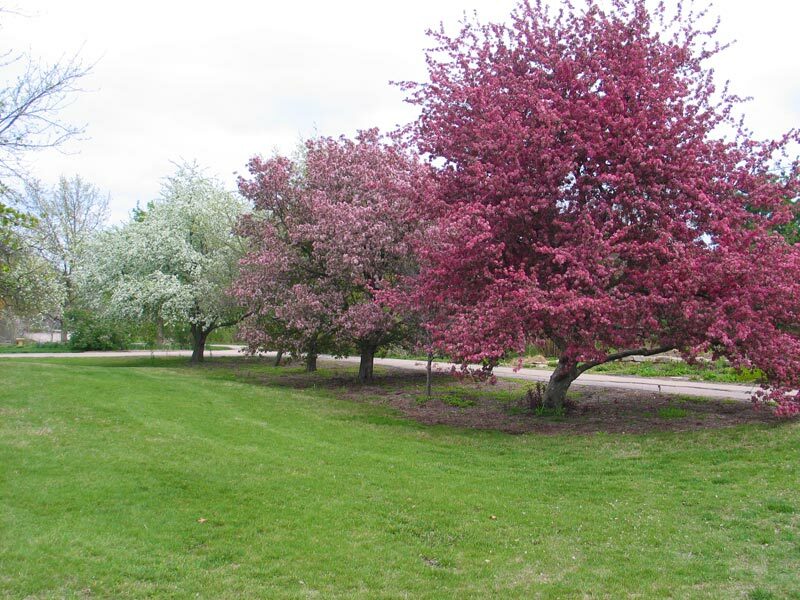 The arboretum has several types of buffalograss demonstration areas.